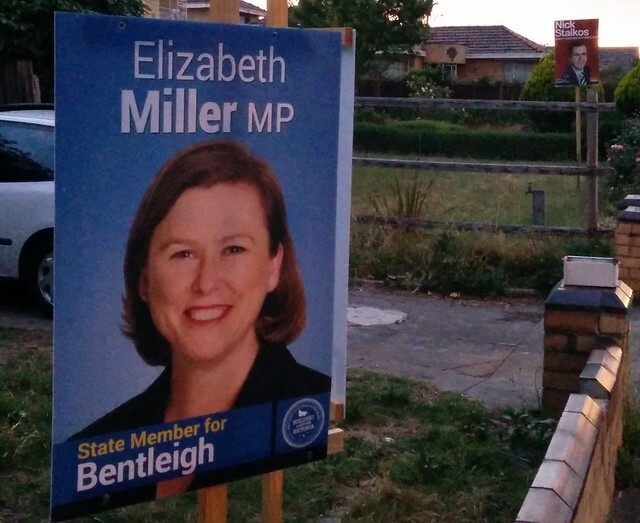 Only a few days until the state election, and the campaign is heating up. Here’s something interesting I’ve noticed: apart from posting and advertising on Facebook, the Liberals have paid for Google Adwords advertising — that is, links to appear above search results on Google. They’ve covered the names of a number of Labor candidates in marginal seats, plus their state leader’s name (linking to the more positive “Our Plan” site), and the name of their main opposition party and its leader. They don’t seem to have covered opposition candidates in some marginal seats such as Prahran and Frankston, and nor have they included the Greens. It’s all interesting stuff. 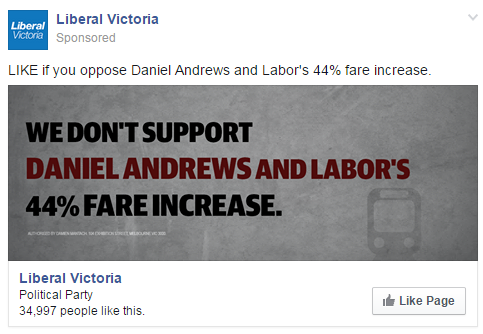 I wonder how many people searching for information on Labor candidates end up clicking through to the Liberals’ “Frankston Line Facts” or “Backwards Under Labor” web sites? I didn’t spot any evidence that Labor have done the same thing, but they have gone in strong advertising on the mainstream media web sites: this morning the Herald Sun and The Age web sites are covered in ads for them attacking Napthine and Abbott. An article in Crikey (Paywall) last week suggested that political advertising doesn’t actually work very well, a position also supported by research done in America. Personal interactions such as doorknocking (and I guess handing out flyers) work better. That can be difficult to organise, but has been happening a lot in the marginal seats this year. The somewhat antiquated “Electronic media blackout” kicks in from midnight tonight, but only applies to TV and radio. I guess we’ll continue to see online ads right up until, and during, Saturday’s vote. Next → Next post: Where’s the community’s focal point? It’s the railway station. You are correct that the number of election ads is really ramping up ahead of the blackout tonight. The ads are all annoying and don’t actually tell you anything. At least by Saturday, they will have stopped.